With the beautiful Retina display, the iPhone is a great little device for those who like to take and view photographs but aren’t keen to shell out hundreds of dollars for a separate camera. We all know the iPhone comes with a built in camera as well as an accompanying Photos app that allows users to view, manipulate photos and create albums as they see fit. The app is a great starting point, but like so many other native iOS apps that come preinstalled on the device, it could do with a little more functionality. The Photo Enhancer tweak can be classed as a stepping stone to bigger things that could come along for the native Photos app. 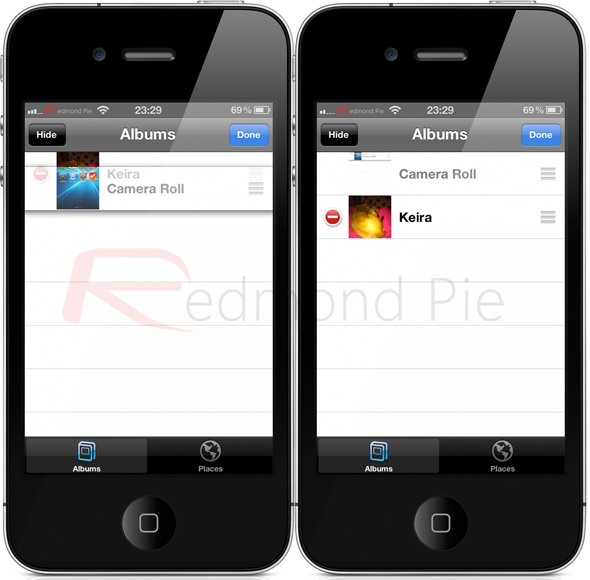 In its present form, it really only has two core sets of functionality which is to let users hide the contents of an album as well as providing the ability to change the hierarchal structure of the albums. The tweak hooks directly into the back end of the Photos app and alters its behavior, although no additional icons will be found on the Springboard. Photo Enhancer has its own preferences panel within Settings.app that serves as a read me for users, providing in depth instruction on just how to use the tweak. It also has an experimental toggle switch that allows users to turn on the ability to hide albums as well as the internal photographs. By entering the Photos app, pressing the ‘Edit‘ option in the top right hand corner will bring up a new ‘Hide‘ button that when tapped will make all photographs in each album invisible. The reverse of this is to obviously press the ‘Edit‘ button again and this time select ‘Show‘ that will make the images reappear. The developer of Photo Enhancer is keen to add additional functionality to this tweak, so we could see more features in the future. 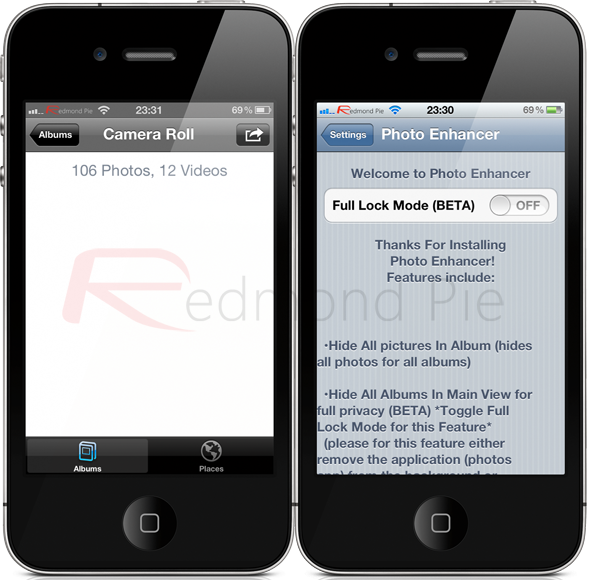 As it stands right now, if hiding photographs is something you require then Photo Enhancer may be for you. The tweak can be downloaded free of charge from the ModMyi repository.